Congratulations, Your TaterGram™ is Being Prepared. 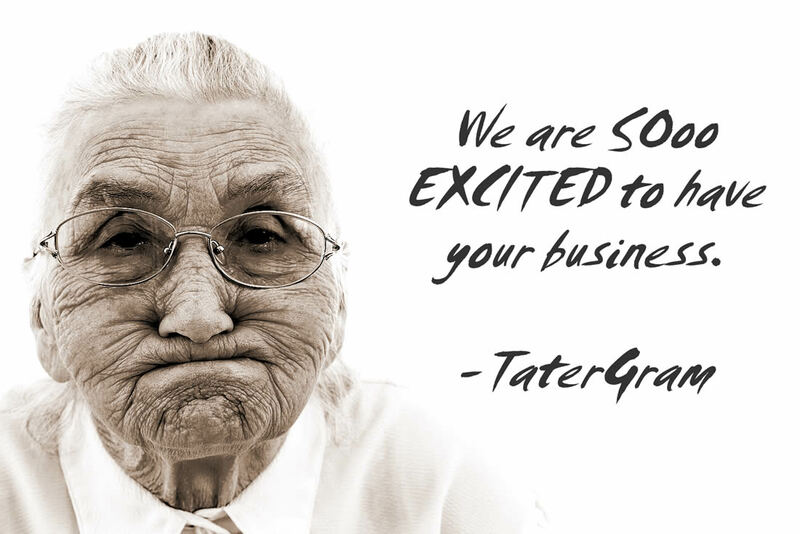 Your TaterGram will be mailed out within 1 business day. You will receive a shipment notice and tracking# by email shortly after shipment. We'll send you a reminder email in a few days so you can check for delivery.